The term start-up ecosystem refers to a holistic approach that takes account of distinctive types of environments in which start-ups flourish (Mason & Brown, 2014). So far, only a few such ecosystems have established themselves sustainably. This particularly goes for Silicon Valley as the most famous area from which disruptive business ideas evolve and a high number of successful companies such as Apple, Google, and Facebook have emerged. 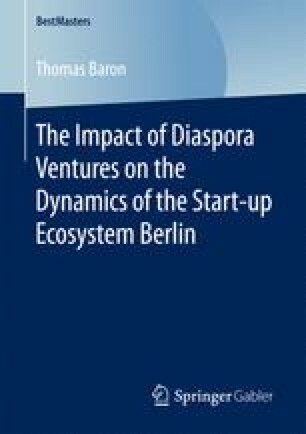 However, in the international press and among various experts another start-up ecosystem is currently being hyped as the new start-up hotspot in Europe: Berlin (Herrmann et al., 2013).